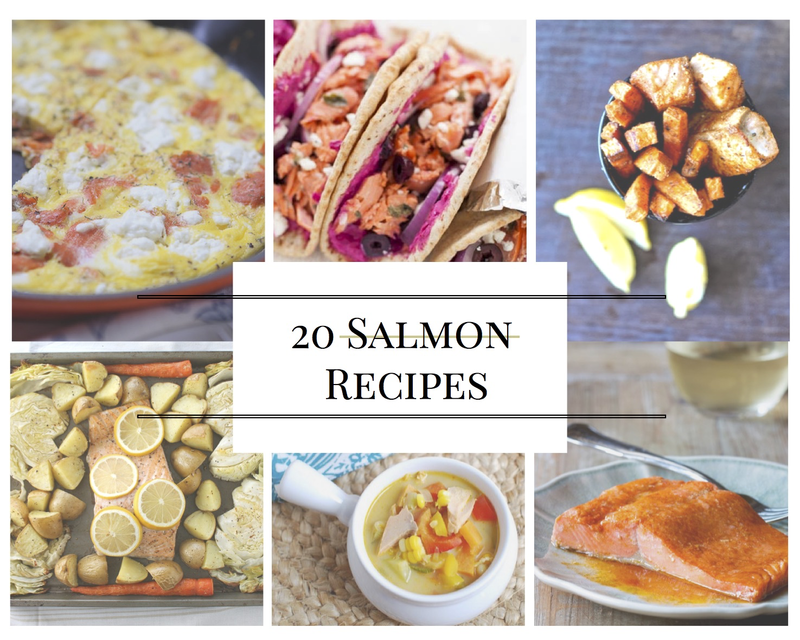 20 of the Best Salmon Recipes all inspired by my recent back injury. It will make sense in just a few–I promise. I just got back from my 3rd trip to the spine doctor since December 30, 2016. “An annual tear can take up to 3 months to heal,” he said. “4-6 more weeks-2 times a week of physical therapy, ” he said. Long story short, I suffered an annular tear on my L4-L5 disc and a herniation on my L3-L4. How did it happen? I think it was the repetitive motion of loading the dishwasher. Yep–loading the dishwasher. On the first night of Hannukah/ Christmas Eve. On 12/25, I woke up with the most intense pain I’d ever felt. Ever. Worse than child birth. I couldn’t get out of bed, much less walk, dress or go to the bathroom without holding on to my husband. Searing, shooting pains would ripple up my spinal cord if I touched a sheet with my foot the wrong way. Sneezing? Coughing? Forget it. I had to brace myself by hugging a pillow as tightly as possible to muster up even the weakest cough. It was bad. And on December 30, I finally got some relief with a combination of steroids, pain killers and a piece of mind that there was no nerve damage involved in my injury and likely, no surgery. Fast forward to today. I’ve finished all of my medications and have dutifully gone to PT 2 times a week since January 6th. I’ve made vast improvements in my recovery but I’m still only 70-75% of the way there. My anatomy back there is just still angry and inflamed. There’s that magic word-inflammation. Inflammation happens in the body as a result of injury (like an annual tear or herniated disc) or when it is exposed to a harmful substance. Inflammation is the body’s natural way of healing itself. Small periods of inflammation could protect your health but when the inflammation lasts for extended periods, it could begin to be more problematic. Good news, though—a powerful tool to combat inflammation can be found in the foods we choose. Take, for example, fatty fish, certain nuts, olive oil, cherries, beans and whole grains. Let’s start with fatty fish. My go to is salmon. 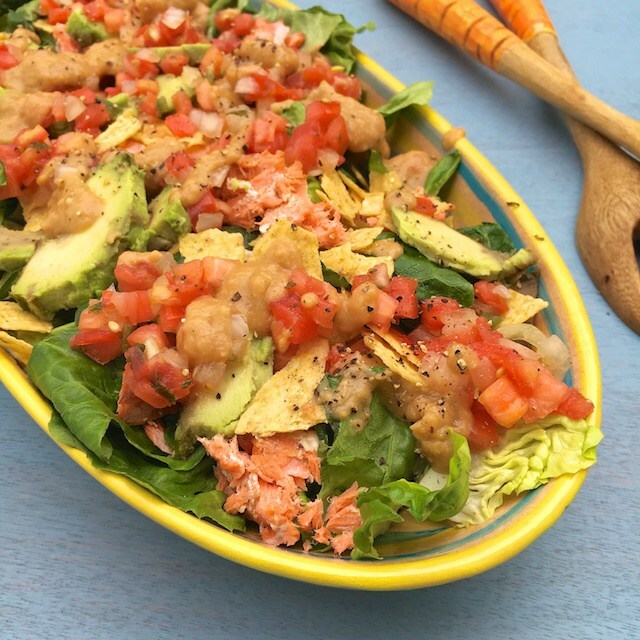 It’s filled with good for you omega-3 fats which could help to reduce inflammation, it’s widely available in the fresh, frozen and canned forms, and it’s a thumbs-up meal from my whole family. 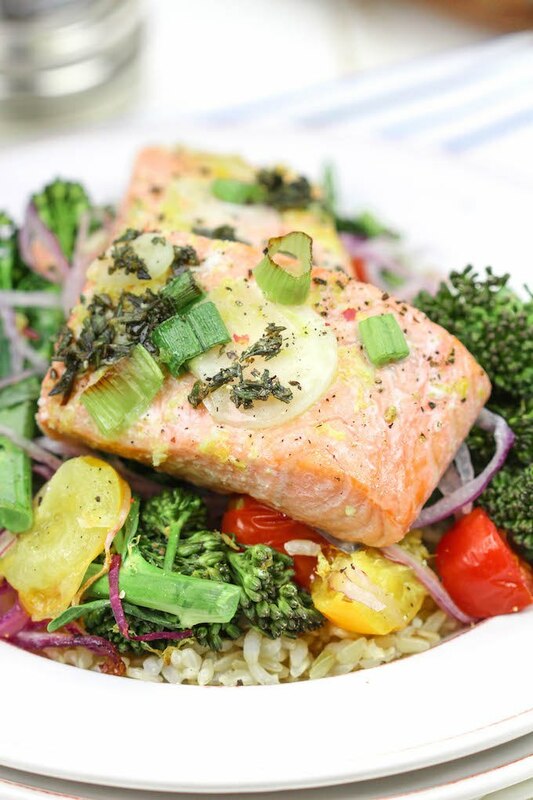 Salmon is also packed with protein and B vitamins. Protein is important for healing your body after an injury and can help you to feel more satisfied throughout the day. B vitamins support a variety of processes in your body, which includes taking the food you eat and turning it into energy for your body to use. Let’s be honest. 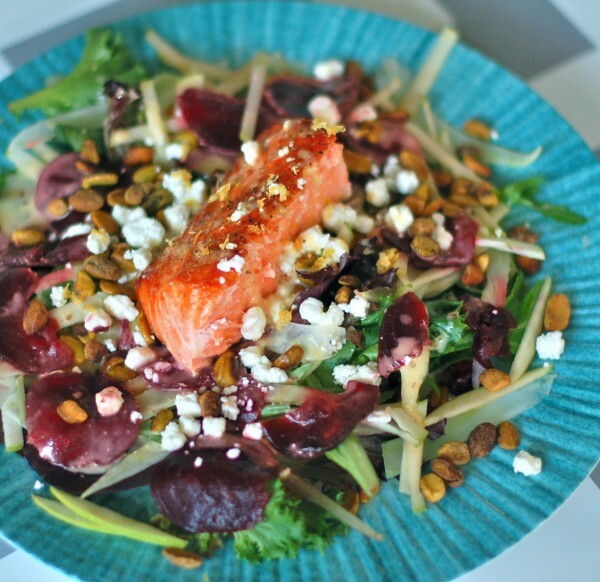 I’m in that same salmon rut you are terms of new ways to prepare this delicious fish. 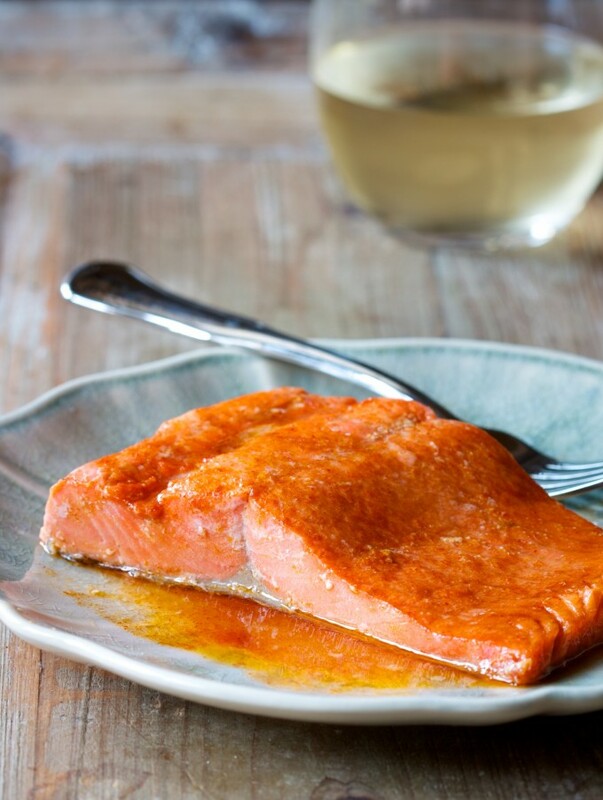 My full proof recipe is Alton Brown’s broiled sockeye salmon with citrus glaze. But after the 10th time, it’s time to expand the repertoire. 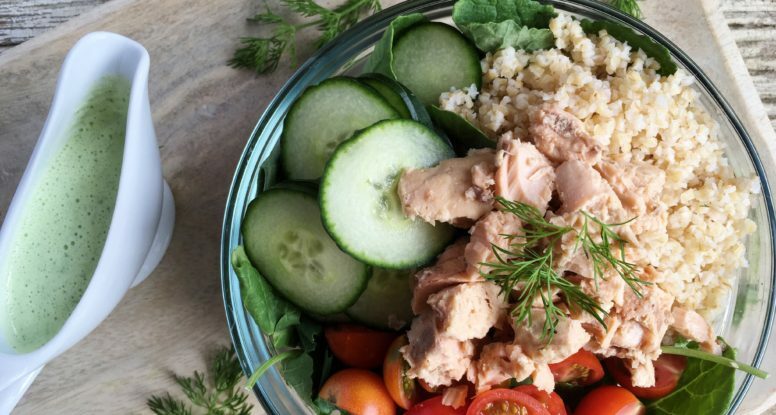 That’s why I queried some of my favorite bloggers of all time for their go-to salmon recipes. You’ll see they’ve sent me their best burger, nut crusted, Thai-inspired, microwaved, seared, salad and taco salmon recipes to make eating fish easier. The easier the recipe, the most likely we’re going to eat it; ensuring those anti-inflammatory properties have a chance to do their job. My back thanks these folks in advance! I definitely need to try ALL of these recipes! Thanks so much for including me. I hope you make a full recovery soon! I am really making an effort to get salmon into my diet more regularly. Thanks for the inspiration! and thanks for including my frittata! Thanks, Brittany! I am planning on trying most, if not all of these fabulous recipes. 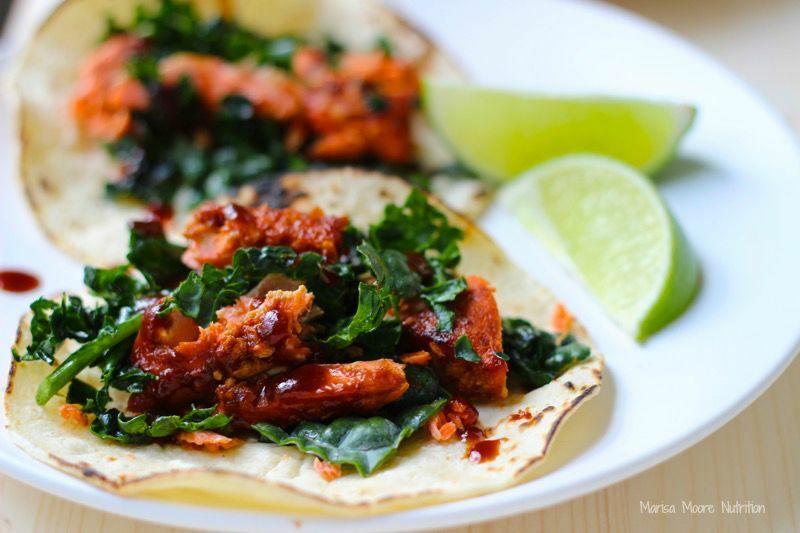 I’m more committed to eat anti-inflammatory than ever before! Wow. What a line up. I don’t know where to begin….these all look so delicious with some really innovative ideas.